RBI Office Attendant Recruitment 2017 notification for 526 posts in various bank office locations issued. Interested candidates can apply online for RBI recruitment 2017-18 on or before the last date, i.e. 7/12/2017. Get Apply Online Link for RBI Office Attendant Jobs. Download the official notification pdf for reserve bank of India office attendant recruitment 2017 @ rbi.org.in once before proceeding to fill Online application. Latest Update (20th Dec 2017): RBI Office Attendant Admit card 2017 is published. Applicants of RBI Office Attendant Recruitment 2017-18 can now download the Hall Tickets using Registration ID and Password. See the Direct link to download RBI Office Attendant 2017 Admit Card here. Here is a Good News!!! 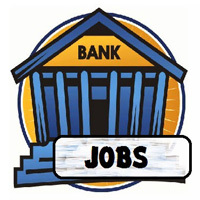 for all aspirants who are looking for latest bank jobs. RBI came up with attendant recruitment 2017 notification to fill 526 Office Attendant job vacancies. Reserve Bank Of India inviting applications from all the eligible Indian Candidates on behalf of the rbi office attendant recruitment. The RBI accepts Online mode Applications forms only, and no other means of forms are received. So all the Interested Eligible aspirants apply online for rbi recruitment 2017 office attendant before the last date. The Reserve Bank of India founded on 1 April 1935, Kolkata is India’s central banking organization. Shri. Urjit Ravindra Patel is the Governor of RBI, which controls the monetary policy of the Indian rupee. Every year RBI recruits many candidates for office attendant posts. Like that, this year also RBI Came out with a huge number of vacancies for rbi office attendant recruitment. People dreaming of working in RBI can apply for reserve bank of India recruitment 2017 for Attendant Vacancy. Check RBI 2017 Notification details such as age limit, vacancies, salary, Qualification, Selection process etc. before going to apply for the Recruitment for the post of Office Attendant. Note: The RBI reserves the right to change the number of posts allotted for a region in case of lack of selected people in the specified region or any other issues. The candidate should be of age between 18 to 25 years old as on 11/11/2017 to apply for rbi office attendant recruitment 2017. The candidate must have born not earlier than 02/11/1992 and not late than 01/11/1999 only eligible. Note: For the complete details on age relaxation refer the official notification pdf provided below. The candidate should have passed 10th Standard (S.S.C./Matriculation), and Such qualification should be from a recognized board in the specified State/Union Territory coming under the specified Regional Jurisdiction of the Current Recruiting Office to which he/ she is applying. In addition to the above, the candidate should be a permanent resident of the State/UT to apply for Reserve bank of India office attendant jobs. The aspirant should be an undergraduate as on 01/11/2017. The Graduates and candidates possessing higher qualification are not eligible to apply for rbi office attendant recruitment 2017. The RBI Bank reserves the right to call for any document in support of residency status of the candidate. An applicant belonging to Ex-servicemen category should have at least passed S.S.C./ Matriculation (10th standard) and furnished at least 15 years of defence service, provided they have not graduated outside the Armed Forces. See the additional details of RBI Office Attendant Exam 2017 Notification such as Important dates, pay scale, selection process, Application Fee in this section. The candidate will have a basic pay of Rs. 10940/- per month. The RBI office attendant salary includes other allowances such as City Compensatory Allowance, House Rent Allowance, Family Allowance, Dearness Allowance, Grade Allowance, Special Compensatory Allowance, etc. At Present the RBI Office Attendant has a Gross salary of Rs. 22339/- as per rbi notification 2017. The Applicants will be selected as RBI Attendant based on the following two tests. The Candidates qualified in the RBI office attendant recruitment 2017 Online Test need to attend the Language Proficiency Test. The candidate must be proficient in the regional language of that specified region to be selected in this test. The regional languages of respective regions are provided on the rbi recruitment 2017 notification. rs 50/- for SC/ST/PWD/ EXS Applicants. Rs 450/- for General/ OBC Candidates. The applicants can pay the Reserve Bank Of India Office Attendant Recruitment online Application fee online in any mode in Net banking, Debit card, Credit card as per rbi notification 2017. Here in this section, we have provided the application procedure for rbi recruitment 2017 apply online. By following the below step by step procedure to apply for www.rbi.org.in recruitment interested candidates can submit their application form without any confusion. First of all, log on to the RBI official website @ www.rbi.org.in. Click on the rbi careers/ Opprtunities@RBI button at the bottom of the homepage. Open the Current Vacancies tab then you will be redirected to the RBI Vacancies page. After that, Select the Recruitment for the post of office attendant post. Now, The Complete RBI office attendant notification 2017 will display on the screen. Before applying for RBI jobs, Check whether you are satisfying the eligibility criteria for RBI office attendant recruitment 2017. The RBI office attendant apply online Registration page will appear on the screen. If you are a new user click on the registration tab and complete the rbi apply online Registration process. Then Log in with the Registration number and Date of Birth Details. Fill all the mandatory fields in the RBI attendant recruitment 2017 Application form. Pay the RBI attendant recruitment 2017 Application fee, if applicable. Check all the details once before submitting the RBI online application. Submit your RBI Office Attendant Application form. Finally, take a print out of the RBI recruitment 2017 office attendant Application. Refer the official website for further updates on RBI attendant 2017 recruitment. The Candidates may post their queries and doubts about RBI office assistant recruitment to us, through the comments section below. Therefore, we will surely provide proper information based on your question. Bookmark our site for furthermore updates and information about latest job notifications by clicking (ctrl+D).